I hate to be the one to tell you this, but we’re now closed for skiing and riding. On behalf of everyone here at Loon, I’d like to thank you for making this season such a huge success. We couldn’t have done it without you – or the 202” of snow that fell this winter. Good job to everyone involved. Not quite ready to hang up your skis and/or board? 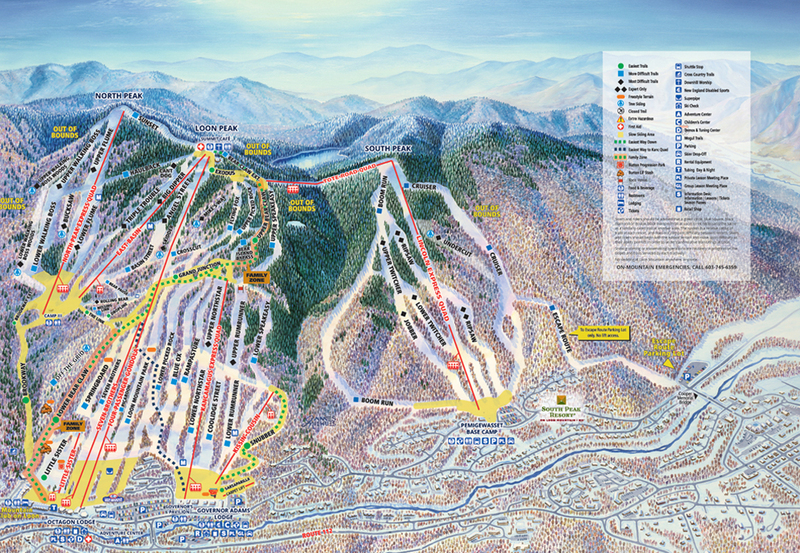 Throw a can of Moxie in your backpack and make a trip to our sister resorts in Maine, Sunday River and Sugarloaf. They’ll be skiing and riding for a little while yet, so check their websites for more detailed operations info. The season may be over, but the season pass deals are still going strong. With our Easy Pay Plan, you can lock in a low spring price on your pass for just $50 down through April 30. Then pay the rest in four easy installments this summer. Easy! We’ll be open weekends for summer adventures starting Memorial Day Weekend! Get ready for scenic Gondola Skyrides, Ziplining, the Aerial Forest Adventure Park, Disc Golf, Biking, and a whole lot more. Daily operations start June 17, so check out our full summer schedule. This May, we’ll break ground on a multi-phase plan to construct a network of over 15 miles of downhill mountain biking trails! Once all phases are complete, Loon will offer over 25 miles of downhill and cross-country biking trails - the largest combined network in the White Mountains. We plan to open the first phase of trails to guests in the fall of 2019. Savor brand-new brews and enjoy the one-of-a-kind sights of the beautiful White Mountains at the 15th annual New England Brewfest. Named the "Most Competitive Hillclimb" by Runner's World Magazine, this ridiculously tough race has runners climb more than 2,000 vertical feet over the course of six and a half miles.